Certificate forgery: PDP demands Adeosun’s immediate sack, arraignment – Royal Times of Nigeria. 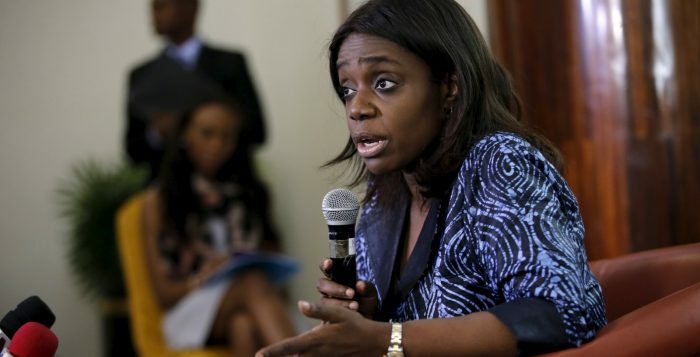 The Peoples Democratic Party (PDP) has charged President Muhammadu Buhari to immediately sack, arrest and arraign his Minister of Finance, Mrs. Kemi Adeosun, for alleged criminal forgery of her National Youth Service Corps (NYSC) certificate. PDP said: “We challenge President Buhari to be bold to allow an open independent inquest into the exact figures amounting to the trillions of naira oil revenue earned by the nation in the last three years and how he had spent same with Mrs. Adeosun as Minister of Finance. PDP also urged President Buhari to allow an inquest into his administration’s borrowing of over N10tr in 30 months, with Mrs. Adeosun as Minister of Finance and the purposes for which the money was used. “We also demand for an open investigation into the N18b Internally Displaced Persons (IDP) intervention fund and the N10b National Health Insurance Scheme (NHIS), alleged to have been stolen from the Treasury Single Account (TSA) by APC officials and Presidency cabal. “Finally, the PDP urges Nigerians to note the colossal corruption under President Buhari’s watch and hold him directly responsible for all the calamities that have befallen our nation in the last three years,” the party surmised.